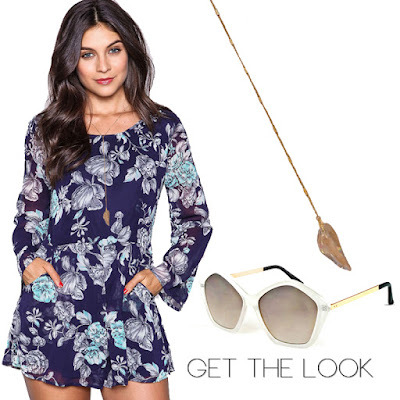 What's not to love about rompers? They're perfect for the day and transition well for a night out. We paired our Eden Floral Romper with our handmade Swarovski Dagger Lariat Necklace. Long layered necklaces are perfect to wear with a higher neckline. Grab your Maldives Pentagon Sunglasses and you're ready for a day out!